I was walking down the sidewalk in front of my house with a 55-lb kettlebell in one hand and a 45-lb weight plate in the other. I’d just finished three sets of deadlifts and three sets of lunges, and now I was doing farmer’s walks. My grip was smoked and my whole body was tired. “Why the hell am I doing this”, I asked myself. “Just stop after this set. There’s no reason to keep going.” Every person who has ever struggled to do something hard is familiar with this conversation, this internal dialogue that arises when we start moving past our comfort zones. Any time we try to grow we will face growing pains, and that voice inside of us will rise up and ask that familiar question “Why the hell am I doing this?” If we don’t have a sufficient answer, our best intentions will be left unrealized, our potential left untapped, and our goals left unmet. So what is the answer? Why should we do these hard things that sometimes are only indirectly connected to our goals? If you’re asking the question, don’t be embarrassed. Society has taught us to value comfort and convenience above all else. Almost all of our development over the last generation has been to make life easier, not harder. As a result, when we do hard things, we end up asking ourselves why. Why not take the easier road? Surely there’s an app or a product or a something that will make this easier and more comfortable. Surely it doesn’t have to hurt. Everything else in life is quite comfortable and convenient. My smartphone allows me to do almost anything at the push of a button. Every setting in which I find myself is climate controlled and set up to maximize my comfort, right down to ergonomic remote controls. So why? Why must I do hard things? Because greatness still comes at a cost. Because reaching our potential always requires doing hard and uncomfortable things. There is no great person, whether an athlete, warrior, inventor, musician, author, engineer, or doctor who has not spent their life facing hard things and overcoming them. They may be more talented than most (or even all), but their ability to endure hardship and overcome it was critical to their success. Without, they’d never have reached their potential. Without it, their level of success would have been decreased. LeBron James may be the most physically gifted basketball player in the world, perhaps even of all time. Still, without being willing to push himself day after day after day as he was rising through the ranks, there’s a good chance we’d have never heard of him. Even if he’d have still made it as a professional basketball player, there’s no way he’d have become one of the greatest of all time. Ask any great athlete if they got to that place because of their physical gifts alone; they’ll laugh in your face. They got there because they kept pushing when their bodies and minds told them to quit. Greatness has always come with a cost, and the cost is the willingness to endure and overcome hardship. If greatness were easy, everyone would get there. As entrepreneur Derek Sivers has noted, “If information were all that were needed for success in life, we’d all be billionaires with perfect abs.” But knowledge is not all that’s required. Execution is required. And execution means overcoming obstacles. It means conquering that voice inside of you that tells you that what you’re trying to do is too hard and that you need to quit. As I noted in this post, the procedure for someone to quit BUD/S, the basic training course to become a Navy SEAL, is to ring a bell. The SEAL training instructors make sure that the bell is always present, beckoning the trainees to ring it and quit the program. They even rig up the back of a pickup truck so that the bell could be transported to the beach during the training sessions there. Even worse, the training instructors promise that a trainee’s suffering will end if he’ll just ring that bell. They call out to the trainees, who only sleep about three hours total during Hell Week and who spend the entire training course being cold and wet, and promise them hot coffee, fresh doughnuts, a hot shower, and a warm bed if they’ll just ring that bell and quit. Only those who can reject that voice and endure till the end become SEALs. Only those are worthy. Likewise, only those who can press on despite their inner voice telling them to quit are worthy of greatness. How do we do this? How do we develop the toughness (I think “willpower” is a misnomer) to endure in the face of hardship. 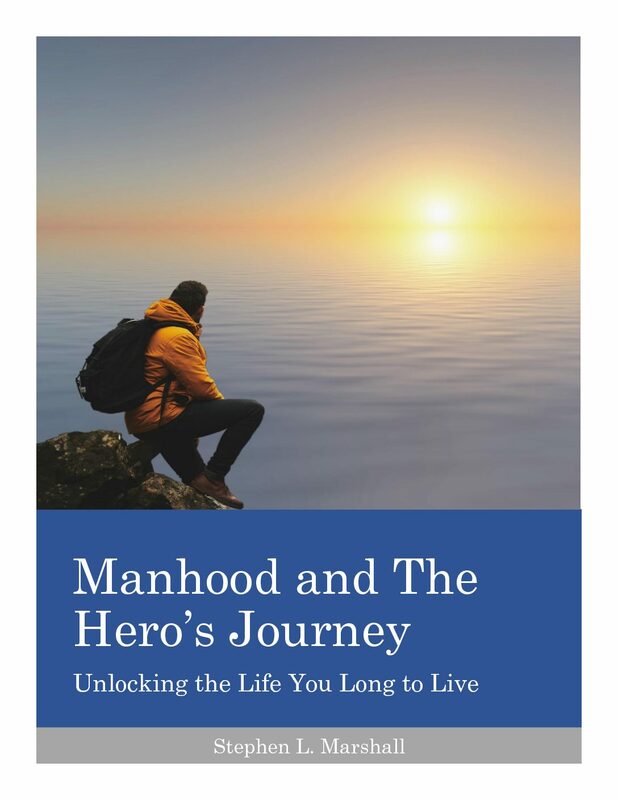 The answer is complicated (and I’ll cover it more in my update to Manhood and The Hero’s Journey), but here’s the place to start: physical training. As I noted at the beginning of this post, society is largely designed for our comfort, with the result being that most people live sedentary lives. Because we are rarely required to exert ourselves physically, we don’t develop the mental/emotional toughness that’s required to push through hardship. Here’s a fact: regardless of their genetics, any time you see someone with a lot of muscle, you can be sure that they have endured significant physical hardship on a long-term basis. Muscle is simply hard to build, and it doesn’t happen quickly. It takes months and years of dedicated training, which means months and years of pushing weights that make your muscles scream and your mind want to quit. Those who can push through such situations have developed the toughness that will carry over into other areas of life. While physical training is not the only avenue for developing toughness, I think it is the best avenue for two reasons. First, it requires exertion, focus, and control of the entire person (body and mind). Reading difficult books and solving difficult problems will certainly develop determination and resilience, but they don’t involve exertion of the entire person like physical training does. The man who can exert his mind but refuses to exert his body (and vice versa) is quite limited. In fact, as this recent article from Forbes notes, embracing a sedentary lifestyle trains us to avoid challenges and to avoid exerting ourselves – not exactly a recipe for high achievement. The second reason is that the desire for physical exertion is hardwired into us as men. We desire to assert ourselves physically over our environment. Those who don’t have an outlet for this desire end up frustrated, and those who reject this desire end up depressed. Feeling unmanly because one is physically weak is not merely a societal construct, it’s the natural outcome of our biology. We’re made to be strong and to exert ourselves physically; when we don’t, we sense something is missing. So, if you want to achieve your potential in life, start embracing hard things like sustained, consistent physical training. If you need help getting started, check out The Man Strong Blueprint or send me a message, I’ll be glad to help. I’ll leave you with this quote from William James, cited in the Forbes article mentioned earlier: “Do something every day for no other reason than you would rather not do it, so that when the hour of dire need draws nigh, it may find you not unnerved and untrained to stand the test.” Training will serve you not only in your hour of need, but in the quest to reach your potential. So when that voice rises up and asks “Why the hell am I doing this?”, you have your answer: “Because this is what greatness requires.” This is the man’s life. Godspeed.